I was talking to my friend who is currently working with Ola and he said that sometimes he has to work for Foodpanda when workload is higher (If you don't know ola acquired Foodpanda this year). I instantly asked him if he can provide me Foodpanda coupons. He laughed it off and said, “why do I need a coupon when Foodpanda is already giving away food for free”. I was really happy after seeing this, I will save money and time, as I won't have to look in the big 4 (Zomato, Foodpanda, Ubereats and Swiggy) for coupons and offers. FoodPanda was my goto place. Here is what I found one day! 🥧 Pastries in 5 rupees! So we ordered like 25 pastries and we had party in the office that day. We could only order one item in one order but there wasn’t any restriction on the number of orders. 25 different delivery boys delivered those 25 packet worth 5 rupees (after discount). Inefficiency kills me! 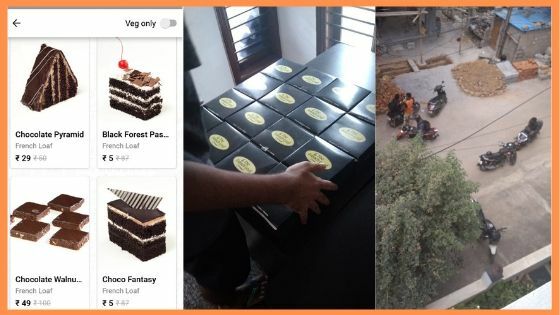 Even though we enjoyed pastries, It was really surprising that, foodpanda or any other food delivery app don't have any option to club the orders if two orders are from point A to point B. What’s more funny is that the a delivery guy who is 5 km away is assigned to pick an order from a restaurant who is just 800 mts away! This clearly shows that foodpanda wants to increase it number of order no matter what, probably to show investors, raise more funding and burn more! This events reminds of one business leasson from ashish hemrajani, founder BookmyShow! In StartupTalky, I learned a trick to check click data of any bit.ly or goo.gl url shortener. Just add “+” sign after the url. Foodpanda send a goo.gl URL whenever you place an order (to track status of delivery guy). Well, this the joy of ordering food for so cheap was very short lived. with scale came problems! Was I the only one? NO! 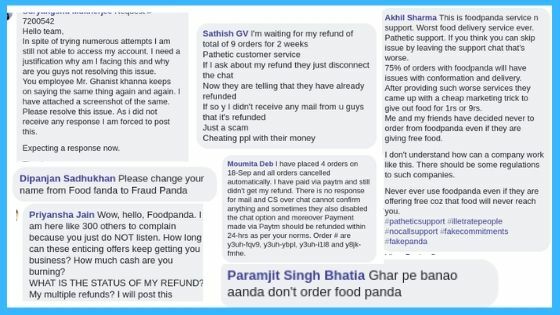 Just to know that if Foodpanda is just messing with or with everyone, I checked their Facebook page to see and in a post with more than 170 comments not a single comment was positive. Just like me, other customers were also having all sorts of issue with the order. 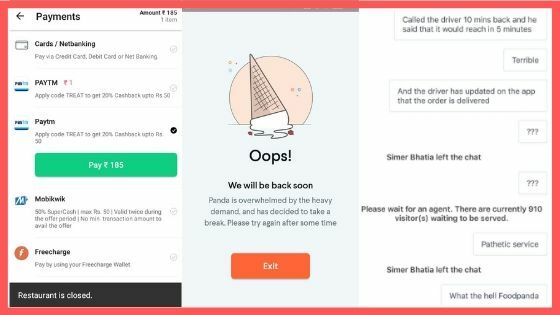 It was very hard for Foodpanda support team to handle all these queries. 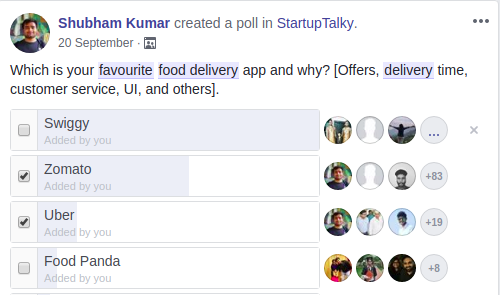 I conducted a poll in StartupTalky to understand what people think of all food delivery startups.While swiggy stands at 157, food panda just got 8 votes! To know the reason, I again talked to my friend and here is what I got to know. After the acquisition, Ola had announced that it would invest $200 million – over Rs 1,400 crores – in Foodpanda to elevate its market presence. Discount was one easy way to get new users and engage existing users. 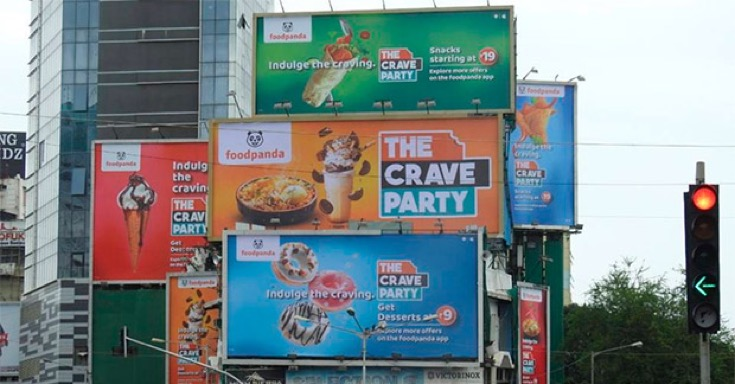 So a campaign "The Crave Party" was launched to relaunched Foodpanda. 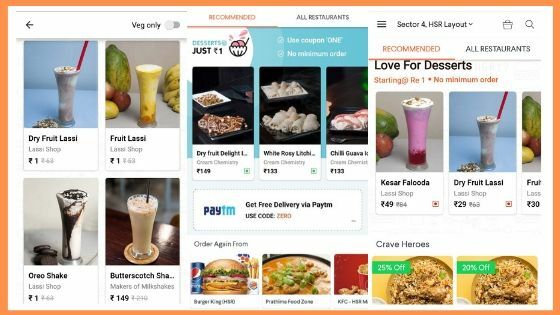 It was launched across all major cities and all discounts were given by Foodpanda only (restaurant was not bearing any cost for discounts, they just have to pay 23% commission on the original cost which Foodpanda anyways takes as an aggregator). 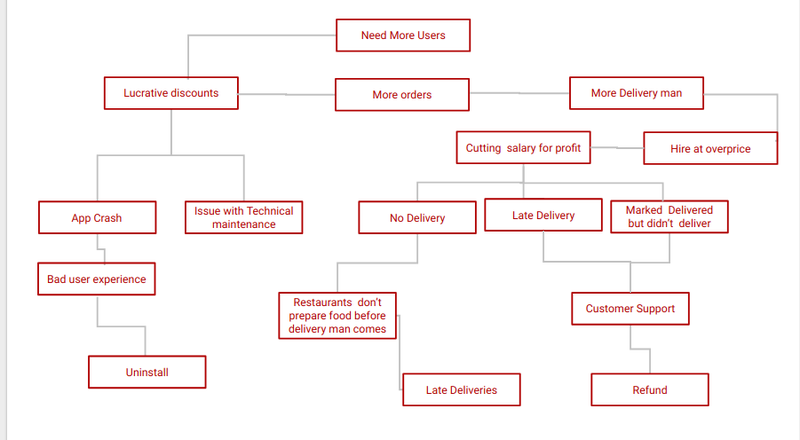 Now to fulfill the orders, Foodpanda started to recruit 60,000 delivery men by offering a substantially higher salary than anyone in the hyperlocal delivery business but solwly they started reducing the salary from INR 1320/day to INR 40/delivery which comes around INR 400-450/day. Here is what happned next (in diagram). Bad Experience, Bad Experience, Bad Experience! So you can see these are all operations are connected as a funnel. Also, we can see that foodtech startup is more about the operation than tech. Scale your business but not at the cost of customer satisfaction/happiness. Things may go out of your control while you scale, always be prepared for that. Treat your team well, be true with them. They are one who will stand with you when no one will. Indians are understood to love offers and discount, but everyone on the planet expects a minimum level of service quality. Especially when you are in food delivery, No one likes free pizza when they are not hungry. Marketing is important but it must be supported with the efficient operation and tech.